How To Choose The Best Air Cooler for Your Home? 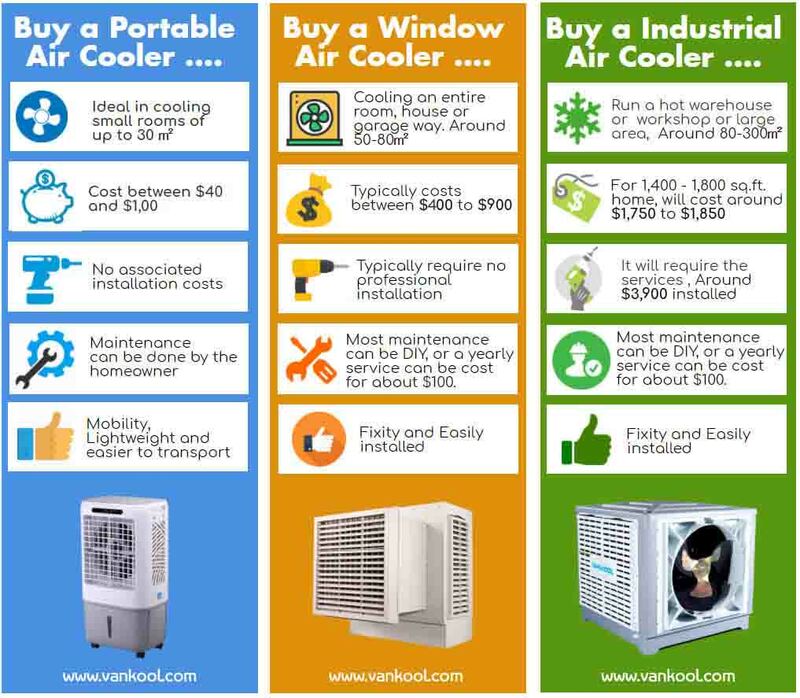 The advantage to the portable air coolers is their portability- most of them have wheels that enable them to be positioned throughout your home or business so that you can strategically cool any area, as you require. If your cooling problems are localized to a particular room or area, a window air cooler is a great energy-efficient alternative to window air conditioners. These window-mounted air coolers often come ready to install and include the necessary installation hardware. Meanwhile, window air cooler can be easily installed in vertical or horizontal windows. Whether you run a hot warehouse or need to keep the workshop cool, industrial air coolers are economical and energy-efficient solutions to keeping your workplace comfortable. Industrial swamp coolers use circulation and evaporation to keep spaces cool. 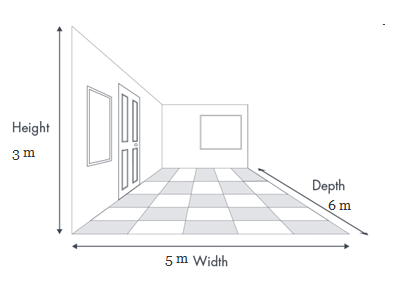 The dry, moving air increases the rate of evaporation from the reservoir and distributes the cool vapor evenly throughout your space. 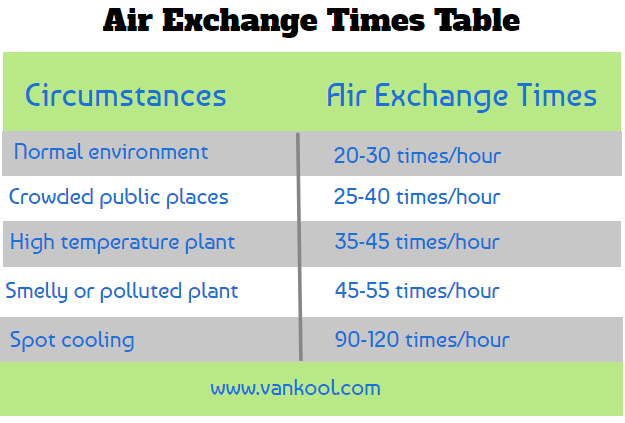 Which Areas are Most Effective for Evaporative Air Coolers? More parts of the world have been highlighted as areas where evaporative air coolers operate excellently.The world map of world for a huge green band and These areas have hot and dry climates that favor evaporative cooler. They are middle east, Central Asia, southern Europe and the West Coast of USA, Southern Africa, and Latin America. The areas marked yellow are slightly cooler and are more prone to humidity. These areas include the United Kingdom and Western Europe where this technology works sufficiently well, but not at optimum efficiency. According to science, as global warming intensifies, these regions will develop a hotter climate that favors evaporating cooling techniques, implying that air cooler fan will be cheaper and much more efficient. 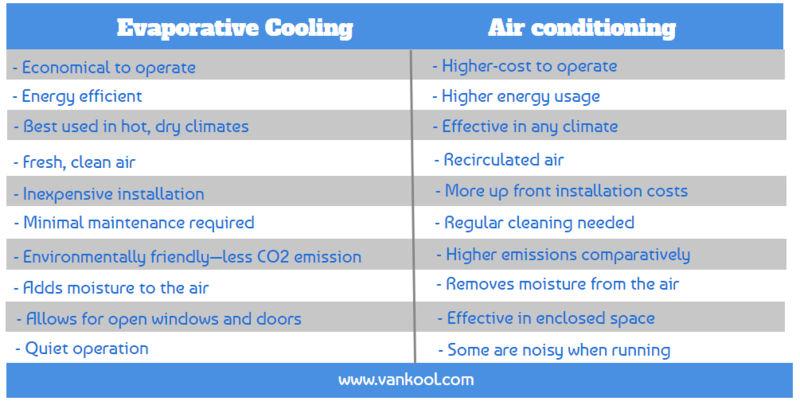 How do Evaporative Cooling Compare with Traditional Air Conditioning? 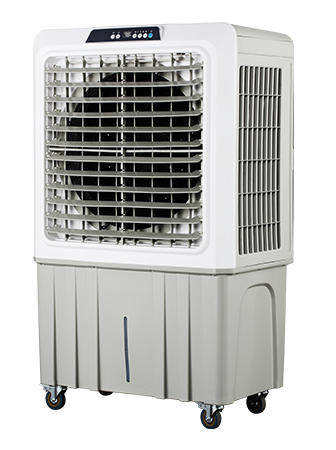 The goal of both of evaporative air cooler and traditional ACs is to cool your space. However, Evaporative cooling system are less operating cost, energy efficient, and are much more environmentally friendly than traditional air conditioning systems. Here is a small table comparing the differences between two types. How to Choose the Best Air Cooler size? According to the equation, you would need a air cooler with a CMH of at least 3000. P.S. : Generally 20-30 air exchange times will be enough for your room. How to Choose a Best Air Cooler ? More and more people choose to use evaporative coolers which could offer an eco-friendly and cost-effective to conventional AC. However, there are some things you have to know before buying a best air cooler. Cooling pads have a direct impact on the cooling of an air cooler. They absorb water and allow air to flow through them to cool it. Thicker the cooling pad, the better the cooling.Cooling pads are generally made of aspen or cellulose material. Both have their advantages and disadvantages. 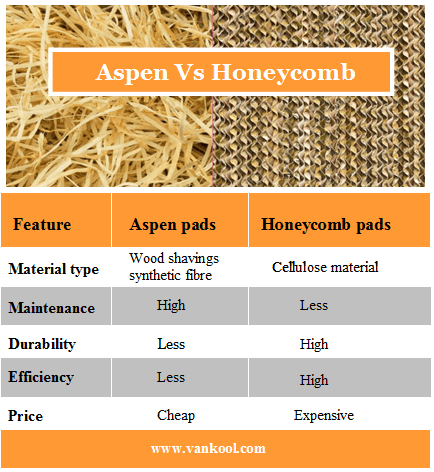 Aspen pads are made of wood shavings and synthetic fibre. They are cheaper, need high maintenance and have a shorter life. Cellulose cooling pads are also known as honeycomb pads, mostly because they look like a honeycomb. They are thicker in comparison to aspen pads and have low maintenance and a higher life. They cost a little more but are also known to be more efficient. Additionally, you also have to check the cooling pad quantity for each cooler. Some Air cooler fan only have single cooling pad, while some other have 3 or 4 cooling pads. It will gets better cooling performance once has more pieces of cooling pads. With many evaporative air coolers comes varying energy efficiency. 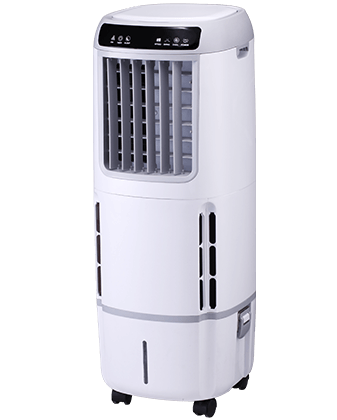 It is best to ask your dealer on what brand of evaporative air cooler is the most energy efficient, thus will have less negative impact on the environment. 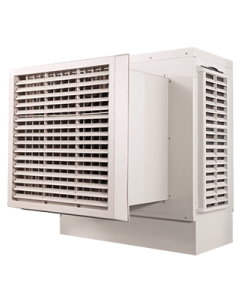 Variable speed coolers are used to control the speed of the fan. It is better if the cooler has options for regulating speed.Also some air coolers offers 3 different air mode like natural mode,normal mode and sleeping mode. You can also call it at automatic water level controller. Some units have a hose connector. 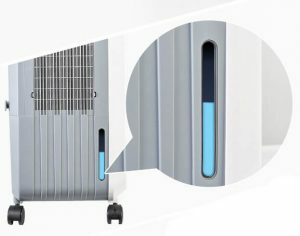 This connector allows employing a standard garden hose to be attached to the unit for continuous supply of water is delivered to the unit while in use. It saves you the time and energy of manually pouring water into the reservoir. 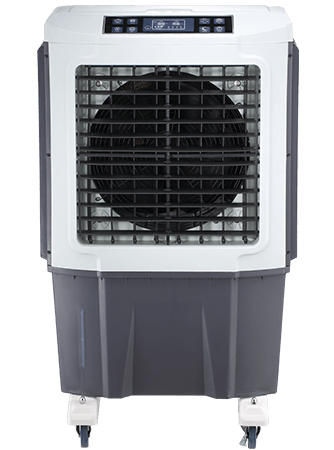 Evaporative air coolers can either be equipped with a centrifugal fan or an axial fan. The centrifugal fan is drum-shaped and is generally quieter but consumes more energy for cooling and costs more than the axial fan. The axial fan, on the other hand, is cheaper, uses less energy but is much noisier. Check if the portable air cooler has a water level indicator or not. It will be more convenient for you to check the water level and know when it’s needed to add water. Anyway, it the air cooler already has a garden hose connector, such water level indicator is not necessary any more. Check the castors that the Air cooler fan used. 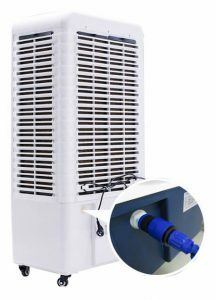 Some air coolers just use some simple plastic castors which could not be used for a long time, especially when you have to move the air coolers frequently. It’s better to choose the coolers with heavy duty castors which use thick rubber and strong metal materials. For quick access to settings, look for an Air cooler fan that comes with a remote. Remotes for air coolers will let you control the speed of the fan so you don’t have to get up over and over again to change the settings. Check if the air cooler supplier could offer warranty for their products or not? if yes, how long? Generally some famous brands will offer one year warranty while some other might offer longer warranty. 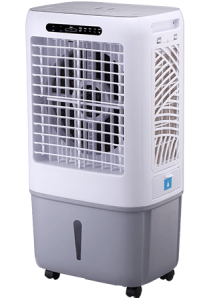 There are a lot of evaporative Air cooler currently available and they vary in prices and quality. There are those that are high priced but do have a number of extra special features, low energy consumption, water saving and much quieter than the cheaper brands. It is basically your discretion and you just have to weigh in on each of the unit’s advantages and disadvantages in relation to their respective prices. Also you should consider that if the price is including shipping freight or not. Some agents sell the air cooler with free shipping while some other not. Once you have decided the type and size of air cooler, after that the next important step is to choose the brand. 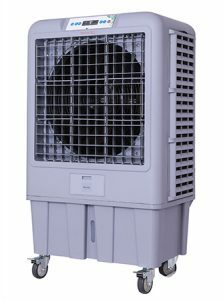 Some popular brands of air coolers are Portacool (for commercial air coolers),Honeywell(for residential coolers),etc. While if you want to be an air cooler dealer and buy air coolers in bulk, you should consider the manufacturers to get a more competitive price. 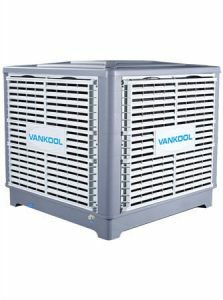 Vankool could be a good choice for wholesale business since it has been the OEM supplier for Honeywell for more than 12 years.